Should I Use My Health Insurance for My Medical Bills If The Accident Wasn't My Fault? If you're hurt in a car, truck or motorcycle wreck and it was someone else's fault, you'd naturally expect the other person's policy to pay your medical bills. Since they caused the accident, they should be responsible for your injuries and other damages, right? Unfortunately, there's a common setback to this logic. The other person's insurance company is NOT going to pay your medical bills while your treatment is still ongoing. Insurance companies will only pay you after your doctor's appointments, surgeries, physical therapy and other treatments are complete. Additionally, the other driver's coverage company might refuse to pay for treatments you receive that they feel were unnecessary. That's a different topic, and you can read more about it here. When you're hurt in an auto accident, you need to seek treatment quickly. Not only does an immediate trip to the doctor help your health, it can also help your case if you have to file a lawsuit later down the line. If you have health insurance, it's wise to use it to pay your medical bills as they're incurred. Why? Depending on the severity of the accident, it's possible to rack up thousands of dollars in medical expenses. By using your own medical coverage, you won't have to worry about your bills as you're trying to recover from your injuries. (Take note, the other party's insurance will NOT pay your bills as they come up, but rather will pay them all at one time at the end once the case it settled). Furthermore, using your own coverage prevents your bills from being sent to a collection agency and possibly causing you credit problems. It's another sad story I see too often: people don't even realize their unpaid bills are hurting their credit, and by the time they turn around to fix the mistake, it's too late. (There's a time limit to submit your medical bills to your coverage, sometimes as short as 30 days). Will Using Your Own Health Coverage Save You Money? Don't forget, you're only using your health coverage as you're waiting for your claim to settle. At the end of your case, (assuming it's successful), you'll receive a settlement from the other driver's suto protection company. In the long run, you'll likely end up paying less for your medical treatment since you won't have to pay all your medical providers back separately after your claim is settled. Your health insurance company has a contractual agreement with your medical providers and the company usually pays only a portion of the fee charged; the remainder of the fee is discounted. 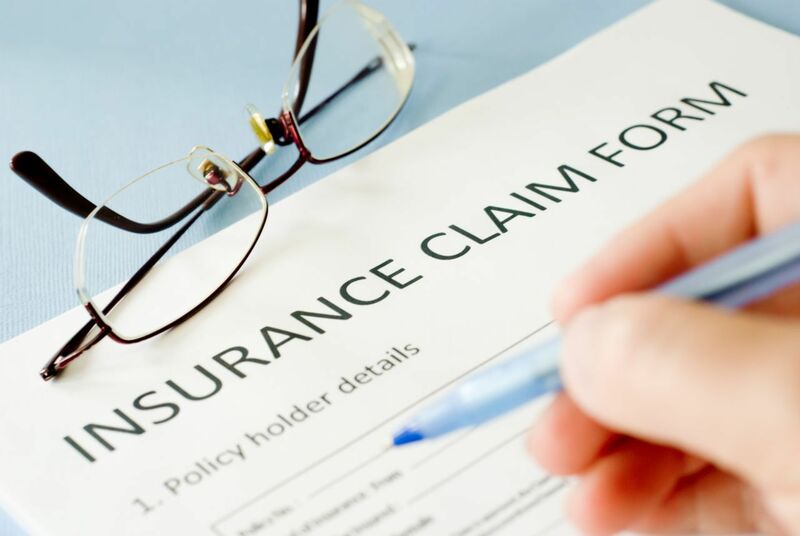 When your claim is finally settled, your health insurance company will ask for reimbursement (it’s called subrogation). The reimbursement amount from a subrogation is usually less than was actually paid to the doctors, hospitals, etc. This means that if you use your own health coverage, more of the settlement money at the end of the case will go directly to you. One of the most important things to keep in mind when being involved in a car accident is to go to the doctor and get your injuries treated. This will ensure that you receive the appropriate care you need, in addition to adding credibility to your accident case. The best way to do this is by going immediately to a doctor or clinic after the accident occurred. Taking into account the speed of the accident, you may not consider to go to the hospital because you believe the accident was probably not as big as a deal as it is, but in reality your injuries may start to appear hours, even days after your accident occurred. How Does Having a Personal Injury Attorney Make a Difference? Beside the property damage your vehicle went through, you have your wellbeing to consider. As I have previously mentioned in other blogs and articles, wounds and injuries after car accidents aren't generally evident. Once in a while it takes days for you to acknowledge you're harmed. It is not uncommon for injured accident victims to think their injury is something insignificant, however it ends up being something else completely. The safest option to take is to see a specialist rapidly. I've taken care of situations where my customer's auto looked totally fine yet the client had a genuine blackout. I've likewise taken care of situations where my customer was in shock and couldn't tell they had broken bones. Most importantly, regardless of the possibility that you feel approve, make a meeting with your doctor just certainly. In any given point you experience any pain from the accident, go a doctor, clinic, hospital, or anywhere where you can receive medical care. They are the experts and know how to treat wounds. In the event that you go to the doctor, you significantly increment the possibility that you will have an effective and complete recovery. By not choosing to go to the specialist, you are putting your recovery at risk. As an aside, some doctors will just not treat injuries from a car accident. It is insane, but they simply don't do it. In those cases, a personal injury attorney can propose to your doctor that any of the medical expenses generated at the time will be paid at a later date. At my firm, we make those proposals constantly and are happy to have the capacity to do that for our customers (it is typically done with a letter or protection).